Thank you for your interest in the Bluebird Inn in Fish Haven, Idaho. Please contact our Bear Lake Idaho Lodging and we will be happy to assist you. 1) From Salt Lake City: travel north on Interstate 15. 3) When you enter Logan you will be on Main Street. Continue north on Main Street until you reach 400 North. 4) Turn right (east) on 400 North (highway 89). 5) Travel through Logan Canyon and into Garden City, Utah. 6) Turn Left at the stop sign (highway 89) and head north. 7) You will cross the Utah-Idaho boarder and travel about ¼ of a mile. 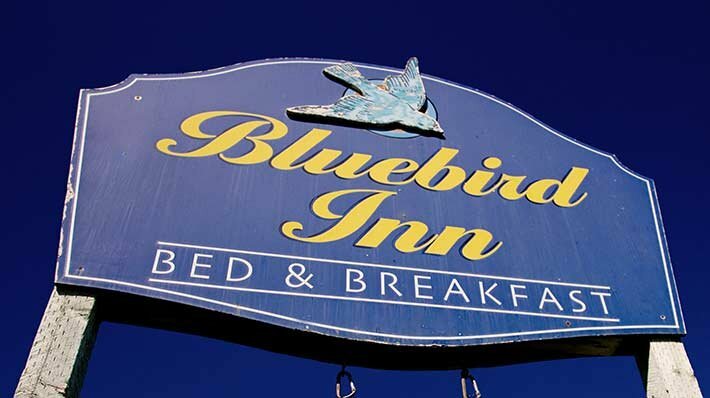 8) The Bluebird Inn will be on your left (west). 9) The trip from Salt Lake City will take between 2 1/2 and 3 hours.